When we were kids, our fathers never had to go to the gym. All of our portable electronics (and we use the term portable very hesitantly) were heavy enough to transform our dads into hulking, memory-documenting, car phone-wielding musclemen. If you were born any later than 1997, you’ll never understand the struggle of lugging around a 15 lb. camcorder. If you’ve ever seen a behind-the-scene featurette of a movie made in the past 10 years, you’ll know what early 90s home recording equipment looked like, because they were literally just as big as film cameras are now. And the quality? The recorded videos might as well have been recorded with a potato. These days, we’ve gone the opposite direction. Video recording cameras are so tiny that misplacing them is a very real problem. The old camcorders could barely fit in a closet, let alone discretely find its way to the land of lost socks and car keys. Modern video equipment is small enough to get lost in your pocket. The good news is that video quality has improved from that of a potato, to that of a potato capable of recording at 4K resolution. It seems that every year, video technology takes another massive leap. The QooCam is like no other gadget we’ve ever seen. When we came across the device on Kickstarter and saw that it had raised almost $410,000, we knew that we had to have it. When we say it’s like no other gadget we’ve ever seen, what we really mean to say is that this is one of the coolest devices we’ve ever seen. 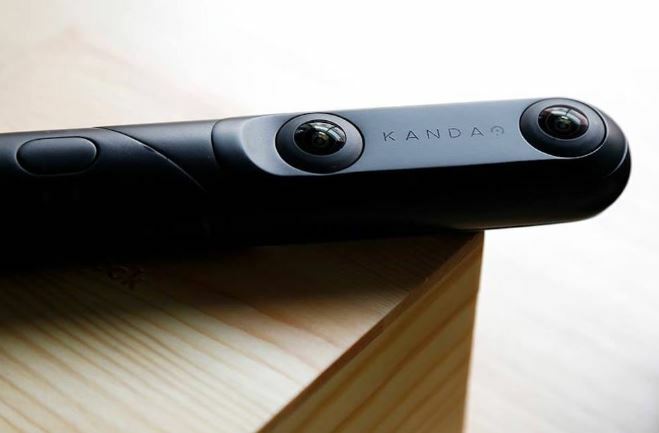 QooCam designers Kandao have already built a significant name for themselves in the 360 degree video and VR market. 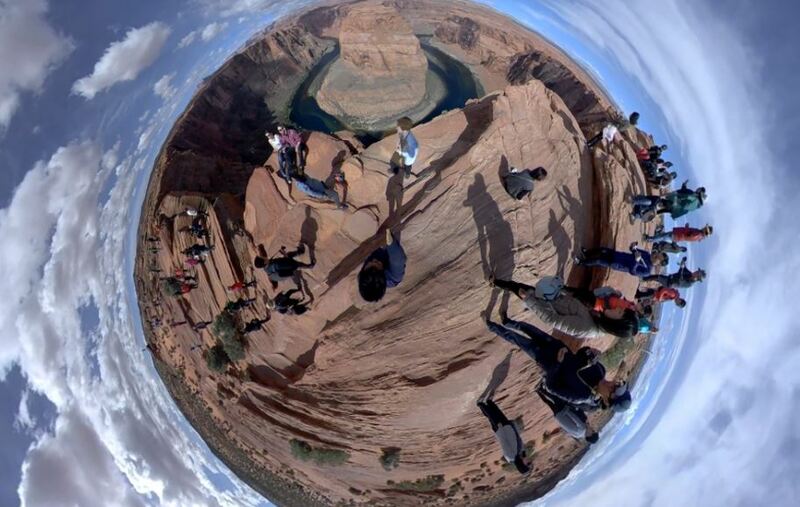 Last year they were cheered on by Facebook during their neat Surround 360 project, which introduced complete panoramic and immersive video, straight into your timeline. 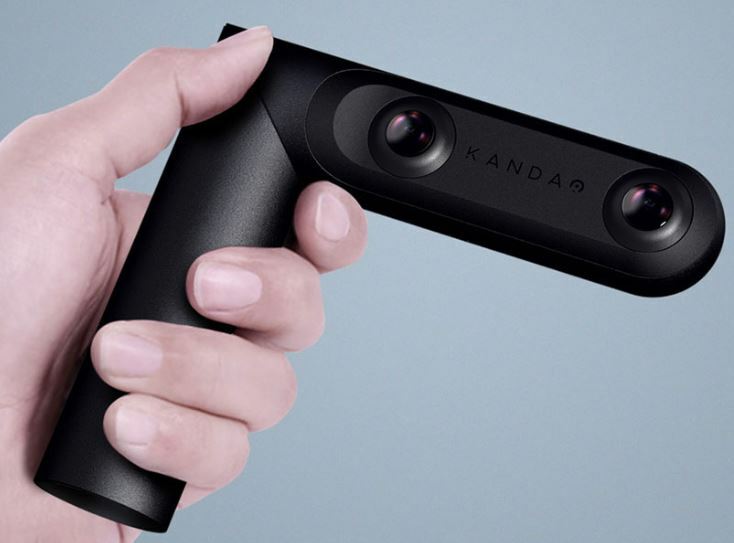 With the QooCam, it’s clear that Kandao is single-handedly trying to revolutionize the video recording market, and they are well on their way. We were lucky enough to get our hands on a full demo release of the device for us to review. Over the past few days we have thoroughly explored the features and specs of the camera, and we’d like to share our views with you. Here is our honest (and excited!) review of Kandao’s QooCam. There is so much going on with QooCam that we’ve decided that we need to do some serious compartmentalizing. The first thing we’d like to do is go over some of the basic specs and information. So, what is QooCam? At its core, QooCam is a 4K camera, but it’s so, so much more. 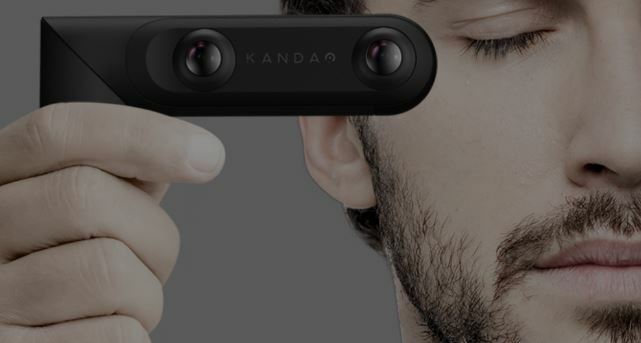 Kandao has engineered the device to be combine the power of 360 degree and 3D stereo filming technology. The camera combines three lenses, an IMU stabilizer and depth map technology for advanced editing to produce shake-free 4K video. And we’ve barely touched the surface. Let’s delve a little deeper. Recording in 4K isn’t exactly a rare spec these days. There are plenty of camcorders that fit the 4K bill, but QooCam takes 4K so much further. 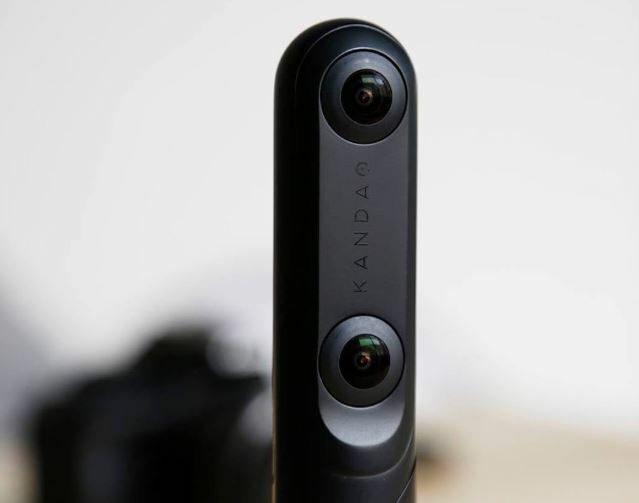 With the QooCam, Kandao has designed a video recording device capable of recording 360-degree virtual reality footage and photos in vivid 4K quality. Featuring a 4K sensor with full sensor readout, all of your memories can become easily relived by recording 360-degree videos on the go. We tested out the 4K VR video in a variety of situations, and we were truly stunned every time. You can even view the videos with a VR headset device. The results were nearly identical to the Surround 360 Facebook videos: supper immersive, hyper-realistic and almost uncannily reproduced. The secret to the camera’s success is its unique, long design. It’s the most hand-friendly video camera we’ve ever used. Recording immersive 3D stereo video is just as simple as recording 360-degree video and photos. 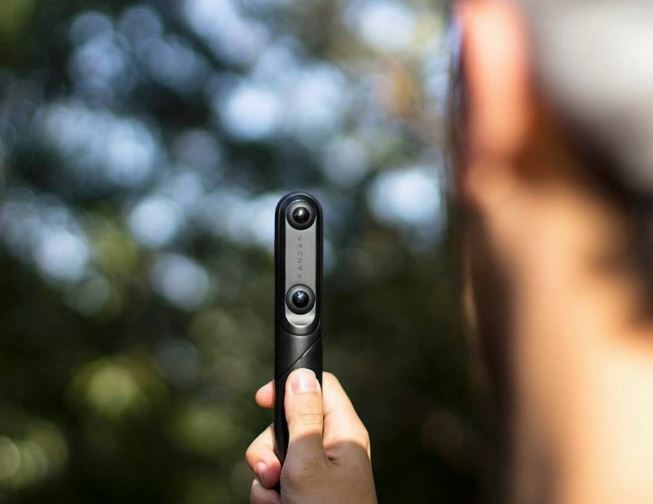 The QooCam offers a panoramic 180-degrees of 3D recording, providing an immersive experience unlike any other. The unique 3D recording is perfect for recreating memories with a VR headset, producing a video experience that feels like you’re reliving the event. The 3D stereo filming works by recording two separate 180-degree wide angle videos. The two videos combine to create the illusion of three dimensions. Picture a Viewmaster, but amplified a million times. If you’ve never seen a VR video, the experience is hard to explain. It can be disorienting for the uninitiated, but your brain adjusts after you fool around with VR enough. This is one of our favorite features of the QooCam. If you’ve ever dabbled in photography, you know that getting just the right amount of focus between the foreground and the background can be a little tricky. Landing the perfect shot takes experience and patience. The QooCam uses a unique depth-based technology which allows you to alter the focus of photos after you shoot them. The depth technology works by estimating the distance of the subjects and generating a depth, intelligently providing seamless post-production focus editing. You can use the included software to simply select your focus subject. The application then automatically blurs the rest of the photo based on the recorded distances. The result is perfectly focused and blurred results, without painstaking post-production. The depth-based tech works just as well as they claim. It almost feels like magic. Seriously. Unless you have some sort of mount or tripod, recording stable video can be pretty tough. The best way to debunk the fact that you have a steady grip is to record a video freehand. The QooCam features a built-in IMU sensor, a proprietary in-house algorithm and real-time image stabilization software to produce free-hand recordings so stable that they need to be seen to be believed. Because of the QooCam’s unique design and stabilization hardware, you can record shake-free video without any physical stabilizers. Since the camera is designed to fit within a clutched grasp, you’re able to hold the camera a lot smoother than a traditional camcorder. The recording quality is so much more stable than any other handheld camera we’ve ever used. Anytime you’re using a camera that uses more than one lens, there is always the chance that you’ll have misaligned images, resulting in a strange double vision type effect. QooCam features a special optical flow stitching algorithm that ensures that both images are properly stitched together, resulting in a smooth, clear picture. During our testing we didn’t experience any optical issues or double imaging. The video from both lenses aligned perfectly and left us free of dizziness and disorientation. The result is 3D video which doesn’t lose any of its immersive experience. The QooCam includes three wide-angle lenses. Each of the camera’s lenses are equipped with a 216-degree field of view and a f/2.2 aperture. The device uses a Sony CMOS sensor, which helps conserve power, making the battery life even longer. The combination of lens hardware and advanced sensors combine to create a unique device which seriously needs to be tried in order to understand the experience. We’re not even using any hyperbole. You really need to try this thing out if you have a chance. The QooCam is an impressively sturdy piece of tech. Composed of a CNC machined aviation-grade anodized aluminum alloy, the body of the device is very strong and very light. The camera only weighs 170 grams, which makes it much less susceptible to overheating. Since its build quality is so solid, the construction is very durable. The QooCam by no means feels fragile. While we didn’t throw our review model off of a building or run over it with a car, we feel as if the camera could put up with a tremendous amount of abuse. The QooCam battery contains a 2600 mAh rechargeable battery, which provides the device with up to 180 minutes of continual recording. So, you could almost record your own version of a Lord of the Rings film. Obviously, your budget would be considerably less, but hey, we heard that Elijah Wood has been available recently. Poor guy is still trying to restore his reputation after making North. You’ve still got a long way to go, buddy. The QooCam ships with the Master Editor, a piece of software designed specifically for the camera. The Master Editor comes with a host of awesome editing features, such as the ability to reframe and make 2D panoramic edits with a simple touch and drag. The software allows you to expertly direct your videos by setting the keyframes in your 360 degree video. The application also allows you to change the focus point of your footage at any moment. A single touch is enough to let the software do the trick. After you choose your focus, the software will automatically keep your choice front and center. The QooCam is unlike any camera you’ve ever tried. 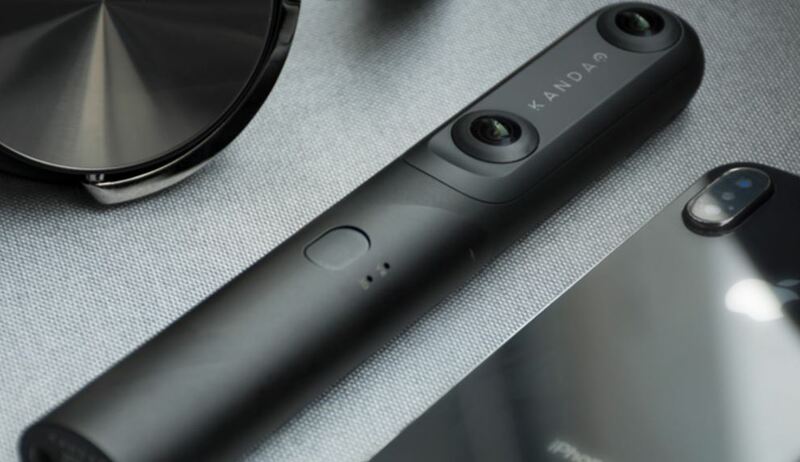 With 4K 360 degree video and 180 degree 3D recording capabilities, the Kandao designed device allows you to create your own VR experiences. If you loved Facebook’s Surround 360 video experiment, you’ll finally be able to make your version with this device. Everything about the QooCam feels premium, from the build quality down to the image stabilization, this is a device made for creating gorgeous and immersive experiences. If you’ve ever wanted to relive your favorite moments, the QooCam makes it a very real possibility. Whether it be your child’s graduation or a night at the club, this is a camera designed for accurate documentation. If you’ve been looking for a device to take your filming to the next level, you’re not going to find any device that is more capable of doing so. We had an awesome experience during our review process, and we know that you’ll be just impressed with the camera as we are. Do yourself a favor and take the leap. It’s completely worth every penny.